From left to right: Original, round icon (added for Android 7.1), new adaptive icons. You might say Hangouts is very fashionably late to the party, but it did arrive. 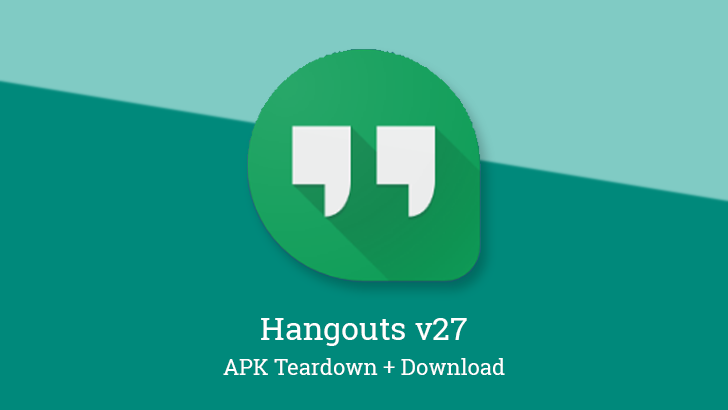 The components for an adaptive icon have been added and Hangouts will no longer be one of the few remaining standouts without a shapeshifting background. 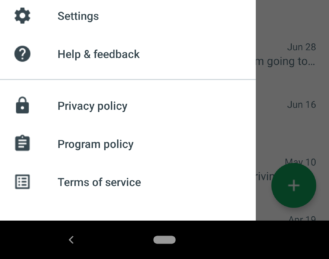 If you're on Android 8.0 or above and have a launcher that supports adaptive icons, the Hangouts icon will now fall in line. Of course, if you're on an older version, you may either see the round icon or the classic icon, both of which are still present and will appear in the right scenarios. Just for the sake of pointing it out, the navigation drawer now also contains the three policy items shown in the picture above. They're just links to the relevant documents, sooooo....... Let's move on. Notifications sporting the 'Mark as read' command have been very popular, and quite useful. On a basic level, they're great for keeping some semblance of organization without constantly switching apps to manually mark messages as read. It becomes even more valuable for apps where read receipts are supported, because we can see the contents of a message in a notification, and then a single button helps to convey to the sender that we're aware of the message. Hangouts may be getting that...possibly. Rarely do I say this, especially when I'm writing about a feature people would want and there's clear evidence to suggest it's coming, but I'm only 50/50 about whether I actually believe it will happen. Honestly, I'm not convinced that this single string wasn't added by accident when a shared library was updated. Yes, that's a thing that can happen. So, while it would be great to see, and there's still every possibility it will be implemented, I'd still like to keep expectations in check.